Improves well-being for many conditions and ailments such as Stress Reduction, Respiratory ailments, Headaches, Low energy, Psychosomatic illnesses, Anaerobic diseases, and many others. Dr. Judith Kravitz first experienced conscious breathwork in the mid-seventies through the breathing practice known as Rebirthing. This type of breathwork, (or breath work), was designed to release various traumas sustained by individuals during birth. She was then guided to combine conscious breathwork with her healing practice as a counseling minister. As Judith began breathwork with her clients, she had insights to make it more effective, powerful and lasting. Over time enough changes were made in the form, consciousness, techniques and intention of her practice of breathwork that she named the new process Transformational Breath. Today, Transformational Breath is taught and experienced as a powerful self-healing modality. This technique has expanded beyond Leonard Orr's work and Dr. Stanislav Grof's Holotropic modality. We are a global breathwork success story. Judith has integrated various principles from metaphysics, Kundalini Yoga, breath analysis, sound healing, bodymapping plus other healing and spiritual principles into the most therapeutic Breathwork training system known today (Transformational Breath®). The information ("Content") available on this web site is intended for informational purposes only. It is not intended to diagnose, mitigate, treat or cure any disease or condition. No claims are made by the Transformational Breath Foundation ("TBF") as to specific health benefits. Individuals should consult a qualified health care provider for medical advice. The user assumes all responsibility and risk for the use of the information on this web site. TBF DISCLAIMS ALL RESPONSIBILITY AND LIABILITY FOR ANY INFORMATION, PRACTICES, OR SERVICES OBTAINED BASED ON VIEWING THE CONTENT OF THIS SITE. THE CONTENT SHOULD NOT BE RELIED ON AS BEING COMPREHENSIVE, ERROR-FREE OR SUITABLE FOR ANY PURPOSE WHATSOEVER. THE CONTENT INCLUDED HEREIN HAS NOT BEEN EVALUATED OR APPROVED BY THE FDA. ∨What are the benefits of Transformational Breath? There are many benefits people realize through the practice of Transformational Breath. These benefits include improved physical health, cleared emotional wounds and enhanced mental capabilities. Many have also found a stronger connection to spirit while cultivating a greater awareness of the breath and self. Your life can open up and become more fulfilling through the practice of Transformational Breath. ∨How can Transformational Breath be experienced? You can experience Transformational Breath by coming to a private session, a group 1-day Workshop, a 2-day Training, or by registering for a 6-day Seminar. Typically, after 4 to 5 Facilitator-guided sessions you will be able to experience Transformational Breath by beginning to guide your own personal sessions. ∨How does Transformational Breath work? Your Facilitator will use proven gentle movement, sound vibration techniques and simple core affirmations so that you achieve and maintain the wave-like "full circular breath" pattern. This activates a high frequency of electromagnetic vibration throughout the body and mind. According to the scientific principle of Entrainment, low frequency energy patterns are raised and transformed in the presence of the higher frequency energy state. This clears blockages within the energy systems. ∨How is Transformational Breath different than other breathing methods? Judith Kravitz developed Transformational Breath after extensive training and experience in teaching yoga, Rebirthing and many other modalities. Transformational Breath incorporates the best from each of these practices. It insures the fastest, most reliable way to experience a complete and lasting shift physically, emotionally, mentally and spiritually. Transformational Breath is an important foundation upon which to build the value of other enjoyable breathing practices. It quickly and reliably clears out resistance and gives a powerful jumpstart to the person's overall energy level. ∨How does Transformational Breath compare with yogic breathing patterns? Yoga breathers are trained to control the exhale which produces tension and blocks the energy in the solar plexus if they carry it over to everyday breathing. It is essential that those muscles be able to relax fully for free energy flow, as well as have the control for yoga. They are also prana experts so they can really feel when the breath (i.e. energy) flows freely. Transformational Breath is the "Yogic breath of Integration". Yoga uses the deep belly breathing to support physical stretching and postures. Transformational Breath is not a replacement for the important physical exercise and body toning provided by yoga. However, Transformational Breath achieves different results than yoga and makes the practice of yoga more enjoyable and more effective. ∨What is the value of learning and practicing Transformational Breath over other holistic approaches to wellness? If you want significant, immediate and positive change in your life, just try it! Unlike most self-help methods, even your very first session will bring immediate results. There is so much to gain, even from one session. You decide! Group sessions cost around $25-50, and individual sessions range from $50 to $150 depending upon the Facilitator. If you decide to engage in more sessions or the Training program, you will realize many positive effects. As you do more sessions, your benefits will expand exponentially and after enough Facilitator-coached sessions, you will be able to engage in self-guided sessions, which are free! ∨How do I prepare for a Transformational Breath session? Most Facilitators suggest that their clients prepare by wearing loose and comfortable clothing. It is preferable to only eat lightly or not at all before the session. Check with your Facilitator about bringing blankets and pillows for comfort along with a journal to record after-session thoughts. It is always recommended for you to bring an open mind and begin to formulate a positive intention for the session. ∨What can I experience during a Transformational Breath session? There is no set or predictable experience during or after a session. Since you are an individual, your experience will reflect your uniqueness. Common patterns include tingling sensations, temporary dry mouth, feelings of joy and even mystical adventures. Some experience their buried emotions which are integrated and healed in the session. During the first couple of sessions you may experience some symptoms of hyperventilation. The session may be occasionally uncomfortable due to the emotional content but it is paradoxically blissful at the same time. In an altered state of consciousness, we feel the individual's higher self guides the healing, providing only what is needed with a feeling of absolute safety. You will leave in a higher vibration with access to higher consciousness. It is best to let go of your expectations and judgments so you can accept the part of you that wants to heal. Every session is unique, based on the pieces that are present for integration. ∨How does Transformational Breath affect physical health? The practice of Transformational Breath brings more oxygen to the physical body. Providing more oxygen to the body has been beneficial for many conditions. Every individual has the innate capacity to heal. Transformational Breath enhances each participant's ability to restore balance and well-being in their physical body. Since we use full diaphragmatic breathing, the lymphatic system is activated and begin to move toxins from the body. This allows the cells to take in more oxygen-rich blood and pranic life-force. 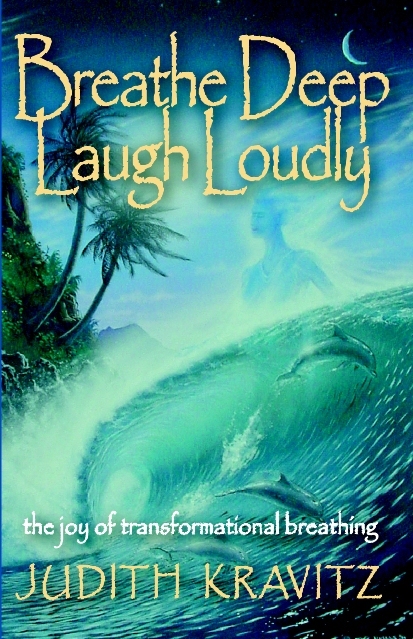 ∨What problems may be alleviated through Transformational Breath? Participants in Transformational Breath may experience resolution of many different situations, problems and issues during a session and afterwards. The source of all healings and solutions comes from within the individual and from their connection with their Higher Self. In Transformational Breath, many deep feelings are resolved. We believe the mind and emotions can create physical symptoms and conditions. The resolution of these feelings may connect with, affect, and improve physical conditions within the body. It is not dangerous to breathe. It is good to breathe openly, deeply and frequently. This is the ultimate goal of Transformational Breath. Breathing correctly brings more life and more energy to the individual. Some believe that Transformational Breath is dangerous because by breathing in a continuous cycle the C02 levels could be lowered and cause hyperventilation. Because one is coached to exhale in a relaxed fashion, with training, the CO2 levels are not depleted and the oxygen levels are increased. Transformational Breath oxygenates the blood which has a positive chemical response in the body. ∨Is it alright for individuals with health problems to do Transformational Breath? Many individuals with a wide diversity of health issues have safely benefited from Transformational Breath. It is important for participants to inform their Facilitator of their health issues before a session. Within the Level 4 Facilitator Training, we teach the Facilitators to work with individuals whose health has been compromised. It is always recommendeded that an individual check with their licensed health care provider. Breathing better is a great adjunct to better health and healing any condition. ∨Does Transformational Breath offer different benefits than exercise to increase oxygenation and decrease stress? Although it offers some of the same benefits, Transformational Breath is not a replacement for a regular exercise program. Neither does exercise offer all of the benefits of Transformational Breath, since the intention and energy generated during a breath session is not all used up by the demands of physical stress. The energy generated by the sheer act of circular breathing remains available to heal various aspects of the body, mind, and spirit, according to the intention set for the session by the individual. Aerobic exercise and other breathing practices usually become much easier to master once the breath has opened, transformed the body, mind, and spirit energies. Many people who exercise do not have an open breath, and thereby create strain and over-exert trying to give the body the oxygen it needs. Sometimes the breathing required to fuel the body during exertion can bring up unpleasant feelings and emotions from the subconscious mind. Most people stop breathing during exercise without realizing it in order to avoid the conscious awareness of such uncomfortable feelings. Once such feelings have been transformed and the breath mechanism is opened up, resistance to exercise tends to drop away. Maintaining a regular regimen can then become an enjoyable reality. ∨Is it alright for a pregnant woman to have a Transformational Breath session? Many midwives, doctors, and mothers have reported that Transformational Breath is a very good practice for both the mother and the baby. Bringing oxygen into the system is a positive thing. Both the mother and unborn child need good quality oxygen in sufficient quantities during pregnancy. No one has ever indicated that breathing would harm an unborn child in any way other than if the mother had a lot of toxins in her system, for example, from heavy drug use. The breathing there could cause it to "dump" a lot of the toxins right away and the baby would be subjected to some of those toxins. The physical, mental, and emotional benefits of Transformational Breath are very valuable during pregnancy. As the pregnancy progresses, the respiratory system is compromised by the growing baby. Transformational Breath allows the system to compensate for this condition. It is good to breathe through fears and trust the process of life that is happening. The breath and life-force are an integral part of pregnancy. The use of the integrated breath during the labor contractions will help integrate the intensity of sensations. During preganancy, especially the last trimester, we make sure that the woman is comfortable. Our Facilitators are taught to use certain techniques for preganant women and avoid other techniques to maintain safety in the session. ∨How does Transformational Breath affect the emotions? The process may evoke and resolve repressed emotions. Participants may experience joy or sadness during a session. The Transformational Breath session promotes low energy vibrational patterns to entrain with higher vibrational states. Former negative feelings stored in the cellular memory are often transformed into feelings of acceptance and gratitude for having experienced the situation that produced the original perceptions and emotional responses. Individuals have reported feeling more positive in their emotional states and less stress. 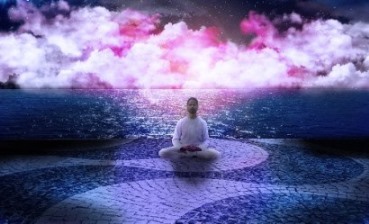 ∨What is the relationship between Transformational Breath and spiritual growth? You do not need to have any specific beliefs, religious or otherwise, to experience Transformational Breath. The Transformational Breath Foundation does not promote any religious belief system. Instead it embraces all paths that lead an individual to connect with Source and to the full expression of our spiritual nature. The process of Transformational Breath may shift your belief system. Virtually all who engage in Transformational Breath find that their spiritual growth is accelerated, as awareness expands. In the final analysis, your beliefs will be formed and re-formed by your life experiences and the insights you glean from any spiritual practice. Transformational Breath accelerates this process. ∨Is there an optimum way to breathe, as we go about our daily business? It is not recommended to use the circular pattern we use in the sessions, but rather to be aware of our breathing throughout the day. We need to make sure we are using our full respiratory system and that we do not hold our breath. We encourage individuals to breathe as fully and keep the breath flowing in and out without long pauses. This will keep us open, energized, and connected. After doing Transformational Breath we become more aware of the times and circumstances that cause us to close our breath. We can make a conscious effort to keep our breath open and work through the issues or feelings that close our breathing down. ∨Can an individual who has participated in Levels 1 through 3 facilitate a session for another person? No. It is very important that folks DO NOT facilitate others after Levels 1-3, as the focus for that program is Personal Transformation. If someone wants to facilitate others then they need to take Level 4, the Professional Facilitator Training, which is done over two separate weeks. It can be harmful and irresponsible to facilitate others in this powerful work without being trained in it. While it is simple and pure it is also very powerful. Folks who are not trained properly are in over their heads with what could come up and not know how to fully deal with it. Facilitating others in Transformational Breath is highly rewarding and it is very important to be trained properly. Our breathwork has been endorsed by well known integrative medicine experts such as Deepak Chopra MD and Christiane Northrup MD. It is different than other forms of integrative breathwork or Yogic Pranayama. Utilizes a full relaxed breath that originates in the lower abdomen and repeats the inhalation and exhalation without pausing. Incorporates personal intentions and spiritual practices acceptable to all. 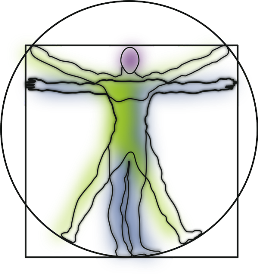 Integrates other healing modalities such as toning, hands-on, and somatic integration. Includes a Breath Analysis that correlates with personal issues in life. Can be practiced alone after a few facilitated sessions. Defines the Optimum Healing & Highest Potential of Conscious Breathwork. "To Educate and Share this Breathwork System with interested individuals and groups without discrimination or limitation." This most powerful form of breathwork has since 1994 reached 6 continents and thousands of Certified Facilitators. Copyright 2001-2019, Breath Ventures, Inc. THE Official site for TRANSFORMATIONAL BREATH® and the TRANSFORMATIONAL BREATH FOUNDATION. TRANSFORMATIONAL BREATH® is a Registered Trademark of BREATH VENTURES INC. 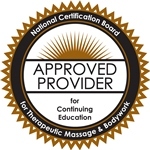 The Breathwork Programs and Trainings listed on this site are the only ones endorsed by this organization.